A "periodic table" of spices shows the connections between flavour compounds, and explains how spices can be grouped into distinct flavour families. A World of Spice chapter explores the main regions of the spice world, including Southeast Asia, the Middle East, the Americas, and the Indian Subcontinent, identifying the key spices in each cuisine and providing recipes for signature blends. 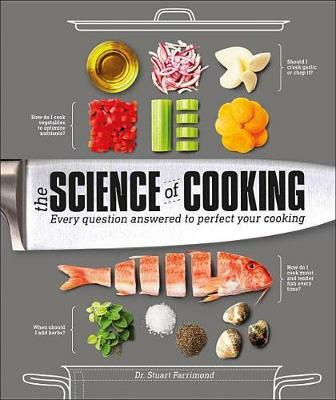 Buy The Science of Spice: Understand Flavour Connections and Revolutionize your Cooking by Dr. Stuart Farrimond from Australia's Online Independent Bookstore, Boomerang Books.